I don't know about your students, but food is a big motivator for my kiddos! I love to incorporate food and hands on activities as much as I can into my high-school science classroom. I use the "Cookie Lab" to have students review and demonstrate their knowledge of rocks and the rock cycle. 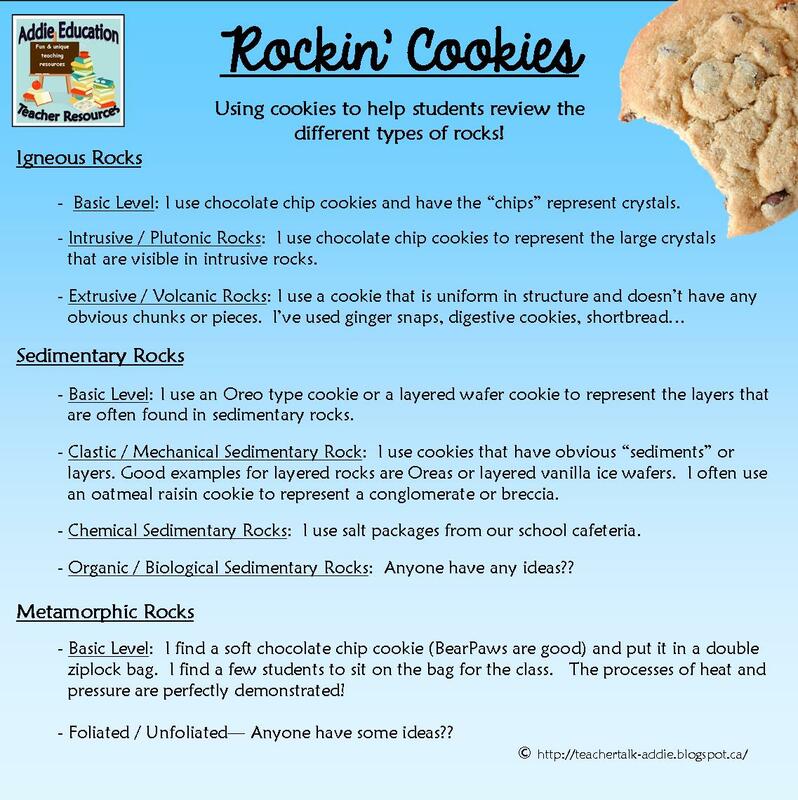 Depending on the level and abilities of your students you can use just three types of cookies for the three groups of rocks or you can get really detailed and ask for more differentiation. I usually do this activity at the end of a Rock & Mineral Unit so that it's one of the culminating activities for the students. Here are the cookies I use for each of the different rock types - I would love to hear your ideas for some of the specific rocks types I don't have cookies for!! If you're looking for more Earth Science / Geology resources be sure to check out some of the graphic organizers and activities I have in my TeachersPayTeachers shop. Have fun rockin' out with rocks!